We are 15 mins walk from Brighton mainline train station and 5 mins from the Brighton Pier and seafront. 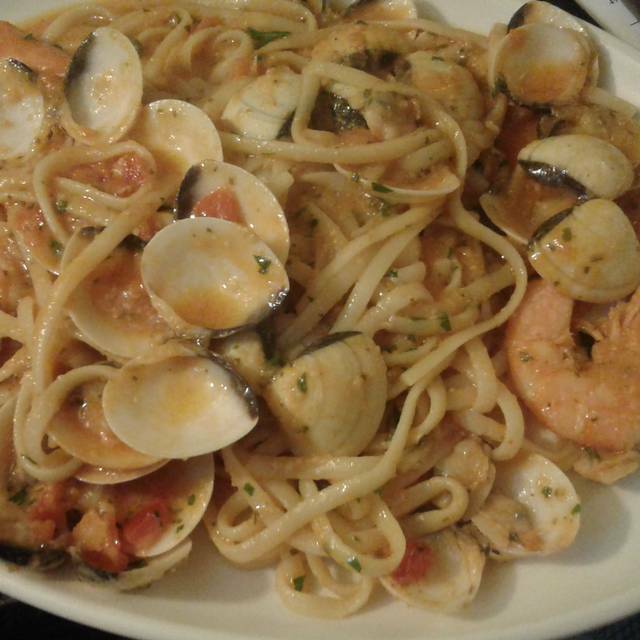 Fresh fish and seafood including classics such as Dover sole, lobster,scallops .favourites like fish pie or breadcrumbed fish and chips .pasta dishes and steaks also available . Home made desserts Creme brulee and bread and butter pud .Ala carte and Set menus available . Set in a 14 th century cottage in the lanes, it is a truly unique setting for a relaxing dinner . Welcome to D arcys. Separate dining areas on 1st floor, for functions or parties. 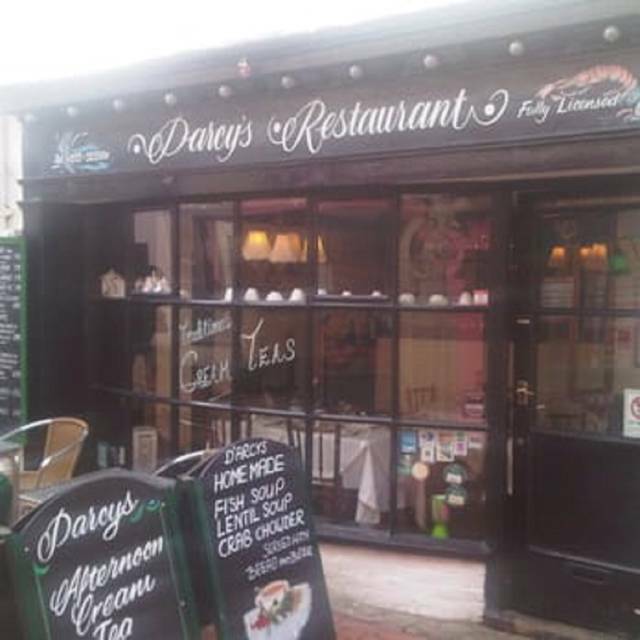 Originally a fisherman’s cottage, D’Arcys has been a specialist seafood restaurant for more than 50 years. 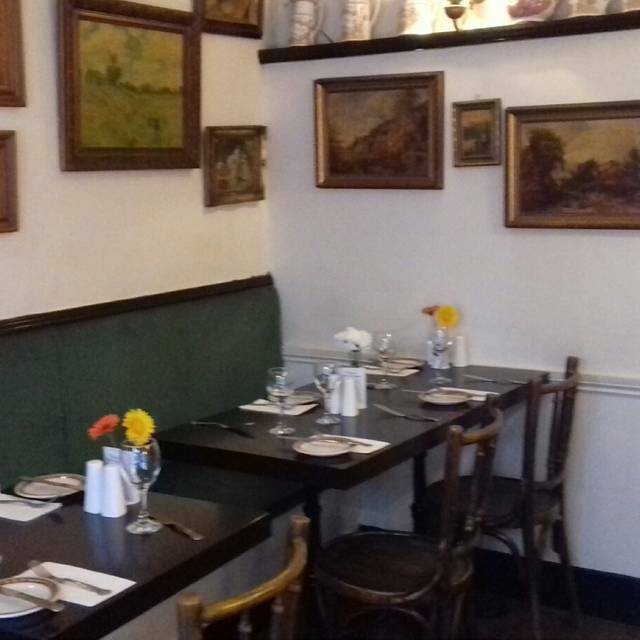 We’ve retained a traditional decorative style which helps create an intimate and comfortable atmosphere whether you’re having a simple one-course lunch or a three-course dinner. When the weather is good we also have tables outside for eating alfresco. We pride ourselves on using the best local fresh fish where possible. Besides our regular favourites such as Fish Pie our menu changes daily depending on the best of the catch from our suppliers. We also source the best, freshest locally grown produce and ingredients to use with and in our cooking. From a choice menu, 2 courses £12.95. Supplement fees apply to steak and lamb dishes. A table for two on Sunday night @21:45. Really intimate and cozy. Tucked away in the lanes from all the noise. Great food and the hostess was very attentive. Would definitely come back. I highly recommend. Very disappointed with this restaurant as the previous reviews were good ! Mussels tasted as though reheated and the other food was tasteless! So nany places to choose from in Brighton.... avoid this one . What a find! 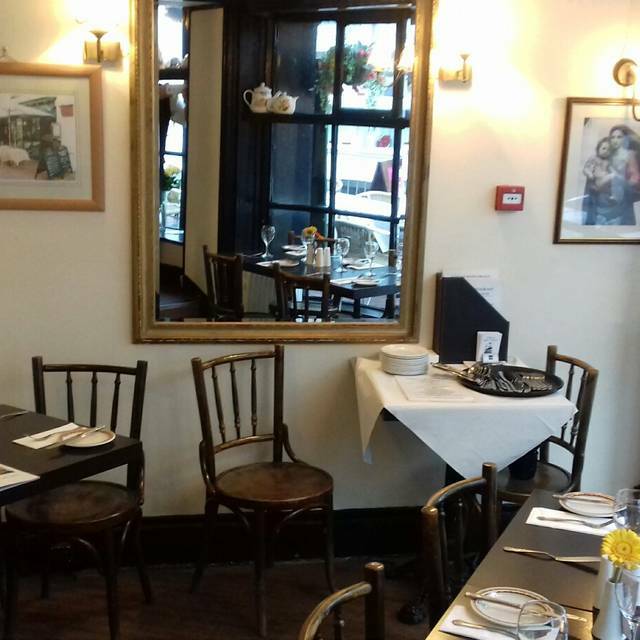 We had a lovely evening, the service was excellent and personable. The food was superb, all courses, and we loved the small, intimate nature of the restaurant. Will definitely go again, more on the menu to try! 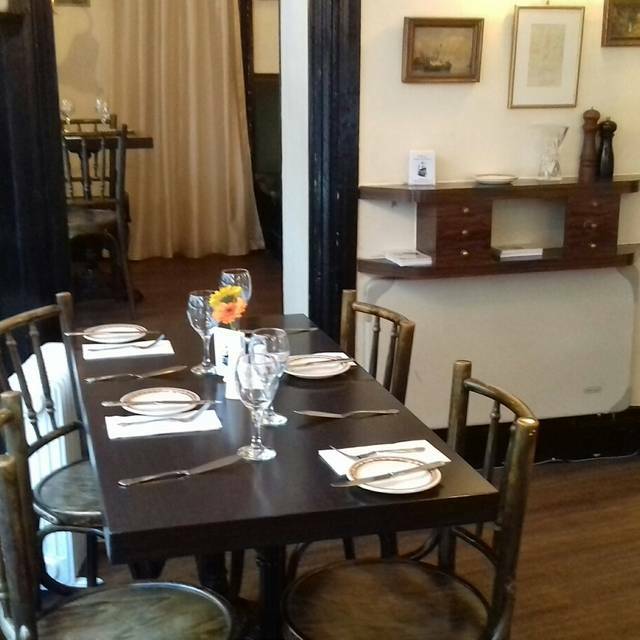 The dinner was amazing because of the quality of the food ( Dover Sole, sea bass and lamb) and lovely atmosphere with friendly service. Food was great; setting was nice and the service was family like. A lovely evening. Nice home cooked food, good portions and the set menu is great value. Decor and toilets could do with updating. Charming little place in a lovely peaceful and historic location. The service and food surpassed our expectations. I just wish we were able to stay longer in Brighton to experience another delicious meal at Darcys. Staff were lovely. Restaurant is warm and cosy. Food was great. We each had 1 large whole fresh fish. They made an effort as it was my birthday as well. Would recommend. The menu offers sufficient options without swamping you with unnecessary choice. We had three courses and all were extremely good. 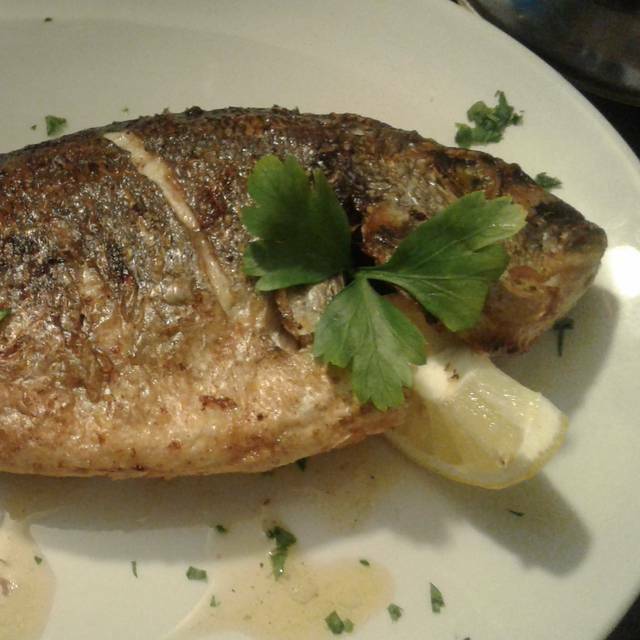 I asked for a recommendation for the main course and had the sea bream as suggested, which was excellent. The portions are good without being overly-large and all the dishes were well priced, including the sides. We were happy with the wine list too. Cute place to relax and enjoy lunch with friends, all of our dishes were fresh and finely prepared. Quite busy and due to size of building a bit cramped. But service was very good. We had Dover Sole which was average size but was well cooked. Vegetables we found over cooked and courgette was not as described on menu. Apart from that all ok.
Really great food - top ingredients, well cooked. Lovely service in an intimate & friendly setting. A very cosy place, made especially welcome by Jerry. First time I’d had fish & chips using bread-crumbs ... which was superb. 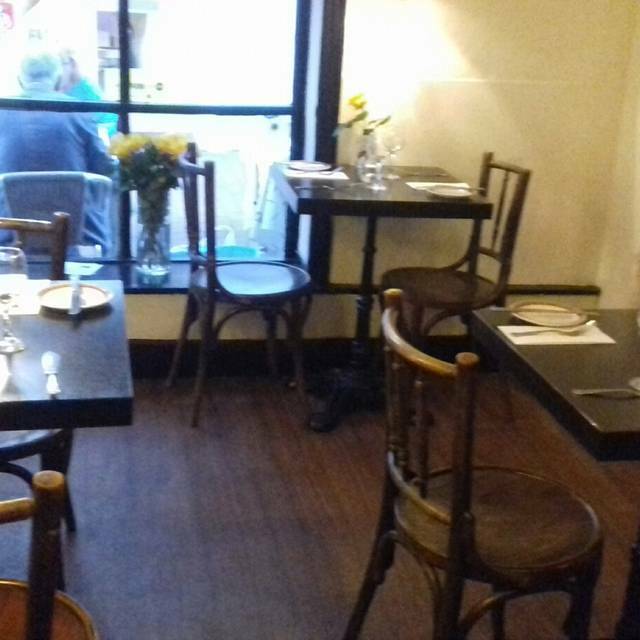 This is a lovely little restaurant tucked away in the Lanes in Brighton. 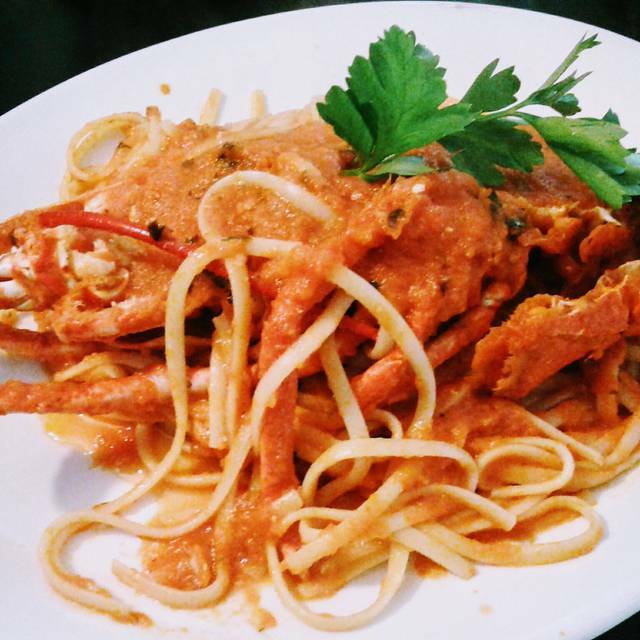 The food is properly home cooked and the service is genuinely heartfelt. It’s the kind of place in which you immediately feel at home.